Small apartments are not ideal. They are difficult to organize and to decorate and, usually, you have to make compromises and to give us certain comforts. 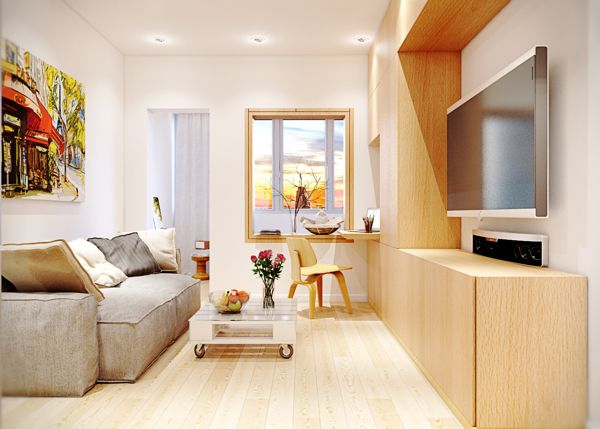 The major challenge when decorating a tiny apartment is making it seem spacious and avoiding to create a cramped and uncomfortable atmosphere.